Heel hooks are among the most versatile and effective leg attacks, both with the set up and the finish. They're everywhere! In this particular tutorial, we're going to take a look at two fundamentally different leg positions, set up from several different initial starting positions. As always, please only attempt any of these leg attacks under the supervision of a qualified Brazilian Jiu Jitsu instructor! I've personally used all of these techniques (both the set ups and the specific finishes) numerous times while rolling at the gym, often while rolling with other black belts. I've also hit many of the component moves in competition, so I do speak from some experience here. Note: for a more fundamental explanation, check out "Heel Hooks from Combat Base." I used this set up for a very long time in tournaments, and I had a great deal of success with it. Actually, the set up I used was a bit looser than this one, closer to a pure butterfly guard setup, but this one is super tight, and very evolved. It's also extremely high percentage, and has virtually no risk. 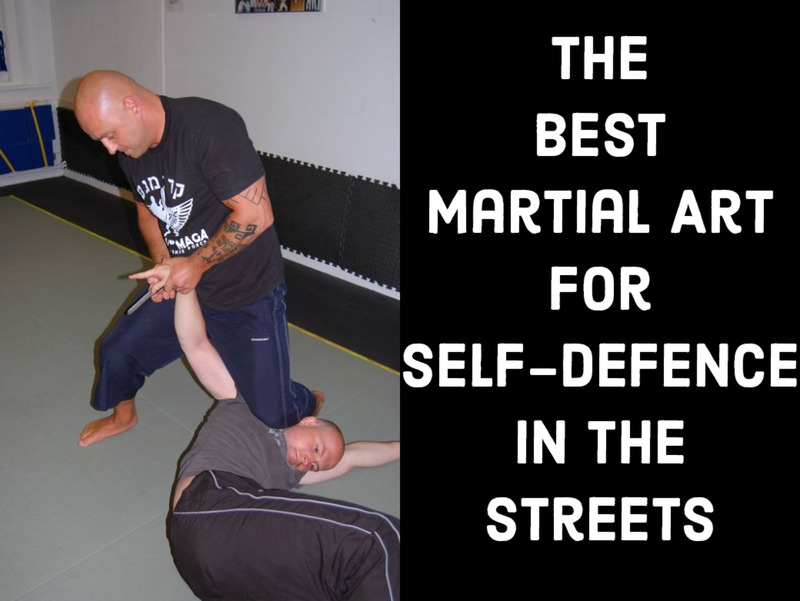 The main idea here is to position your hips far underneath your opponent's hips. Start with your left butterfly hook in place, with your right half guard leg over their leg. 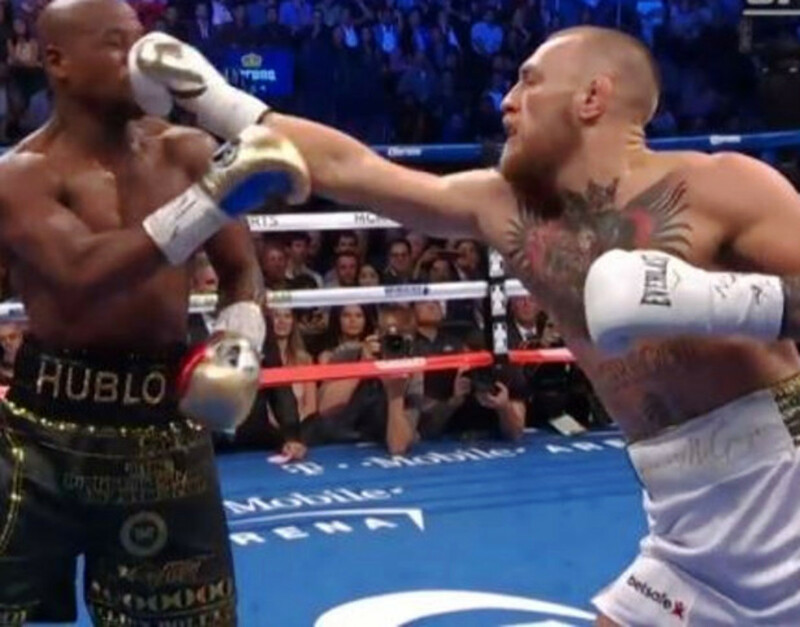 From here, push your opponent by their armpits to your left until your right arm is almost completely straight. The ideal reaction you're looking for here depends on your flexibility. The more flexible you are, the more you want them to turn in toward you, trying to stay on top. Now grab your right foot (the one that was the "half guard" hook), and bring it in front of your opponent's waist. Be sure to keep hold of your foot during this transition, as your opponent can counter with a heel hook of their own, a toe hold, or an "Estima lock." From here, it's simply a matter of establishing the over/under heel hook position, first by sweeping your opponent backwards. Truth be told, once you get the hooks in, it's checkmate, and you can more or less just hold on and react to whatever your opponent does (typically digging their own grave). If butterfly guard is foreign to you, or if you just want to learn more about the position, check out "How to Use Overhooks in Butterfly Guard." Shin on Shin guards are a bit in vogue right now, but they've been used to set up leglocks for several years. Start by connecting with their lead leg with both your shin and your arm (let's use left shin and left arm flush with their right shin for our purposes). Use your right foot on the mat to scoot your hips way, way underneath your partner. Finally, bring your right leg around their left leg, and out in front of their hip. You've got the sweeping position you want. Once your position is established, just push with your right leg while you pull with your left foot, acting a lot like a kani basami (scissor kick takedown), forcing your opponent to sit down to the mat. Once he or she sits, you should be able to establish your preferred leg position (for me, it's always over/under). Keeping a grip on their right leg with your left hand is useful, even while you're finishing up your leg positioning at the very end (right before the submission), as you can keep your opponent from using a "buddy system" to defend (bringing their free leg into play). This technique works best during the guard pass, before your opponent has established a very low knee on stomach position. The idea is to come in behind their leg in the space in between their calf and thigh, hooking your free leg through to set up a fifty fifty position. As your opponent passes to your right, looking to establish knee on belly, angle away from them with your hips (but don't turn away - just spin like a record or lazy Susan). From here, you have the distance you need to shoot your left leg through the space mentioned above, bringing it in front of their right (lead) leg. All that's left to do is to triangle your legs just behind your opponent's knee, and from there you can bring them to the ground, ready to finish the inverted heel hook. 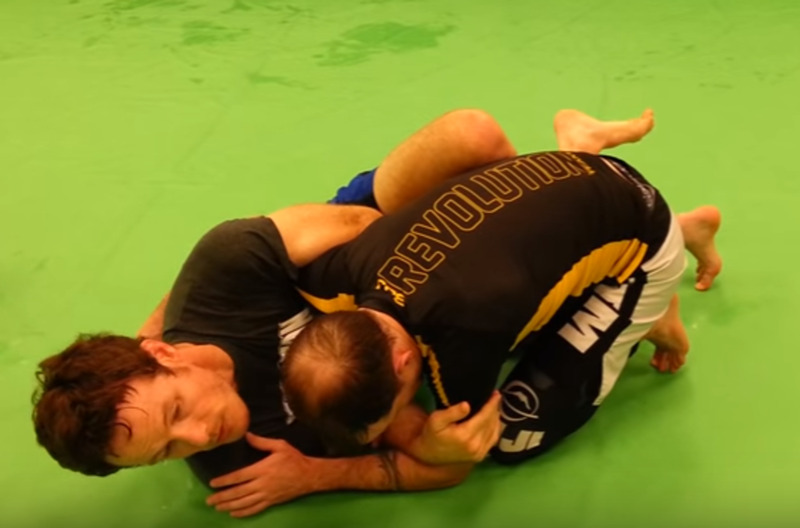 For another look at the specific finish, visit our leglocks from the knee cut pass tutorial. This is one of my favorite counters to a very popular pass. Like many other techniques, it involves understanding what your opponent is trying to do before they accomplish what they've set out to do. As your partner tries dragging your right leg across their body to the opposite side, step on their right hip to stop them from dragging your leg further. This has been amazingly effective for me, even against seasoned leg drag passers. From here, you can easily snake your free left leg underneath them, ultimately stepping on top of your right foot with your left foot. 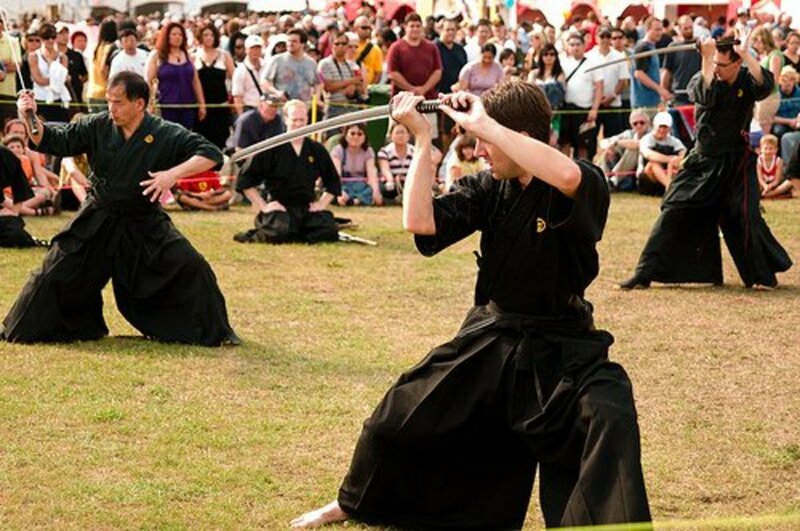 This gives you the ability to control their right leg, forcing them to sit down by turning their knee out (also commonly referred to as "reaping"). The outside heel hook is an easy finish from here. Inside or Outside Heel Hook? Although all of these finishes are heel hooks, keep in mind that you could easily adapt elements of all of these techniques to either improve your position (with a sweep, a pass, or a guard recovery), or finish a different leg attack that is legal in all divisions (the straight ankle lock, or "footlock", is generally always legal for adults). Whenever practicing heel hooks, be absolutely certain that it's okay to use them at your gym! If you're usure, just check with your instructor. If you can't use heel hooks for some reason, start thinking about how to modify the techniques. As always, if you have suggestions or comments, please do feel free to leave them here!